What we know about Jesus comes mostly from the Christian Bible, which includes the Jewish Bible plus what Christians call the “New Testament.” According to the Bible, Jesus walked the earth only about 33 years and actively preached for perhaps only 3 years before he was crucified by civil and religious authorities who may have felt threatened by his power. However, his disciples continued his mission and it has been spread very widely around the world. 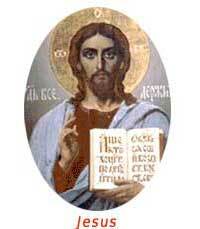 Although many people consider themselves Christians, Jesus’s radical teachings are very difficult to practice in full. He taught people to help anyone who is in need and to be loving and patient toward their enemies. He taught complete faith in God to take care of one’s material life without worry for the future; God cares for all of His Creation, even to the slightest sparrow and the wild lilies in the field. Jesus told people that the Kingdom of God was at hand and they should prepare to enter the Kingdom by becoming righteous and spiritually sincere. Wherever he went, people were healed by the power of God. After Jesus’s crucifixion, he reappeared to his frightened disciples and invested them with the same Holy Spirit which had been working in him. The Apostle Paul was particularly active in spreading the belief that Jesus was God incarnate, and that all who repented their sins and believed in him would be saved. Now there are many different Christian denominations, but they all share a central belief in Jesus as Saviour of the world.